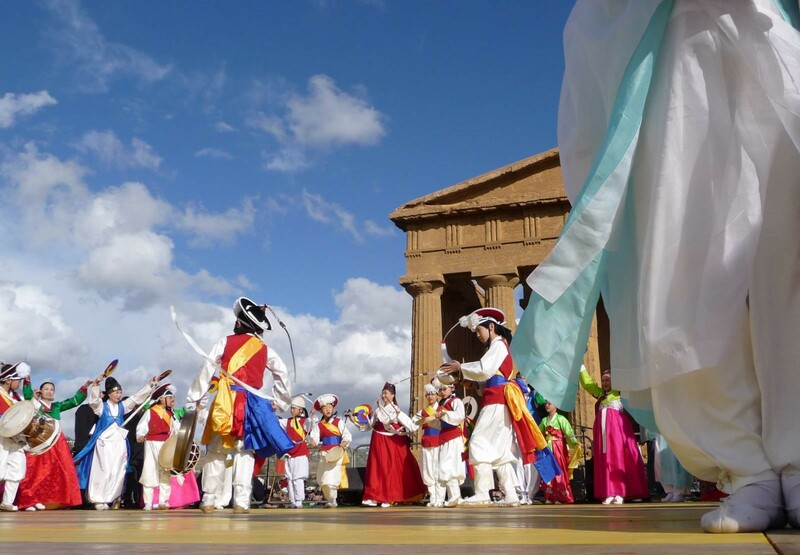 Once again the yearly Almond Blossom Festival will be staged in Agrigento and his Valley of the Temples: from March 1 to March 10 2019 the 74th Edition of the Festival will be celebrated, offering even more reasons to visit Agrigento. Many cultural events with parades, performances of groups from various countries of the world, concerts, performances, art workshops, show cooking and much more are scheduled to take place in the streets of the historic centre of Agrigento and the Archaeological Park of the Valley of the Temples. This year, more than 900 artists from all over the world representing 20 UNESCO Intangible Cultural Heritages will meet in the magical scenery of the Valley of the Temples to celebrate the universal values ​​of harmony, cultural identity and exchange between peoples. 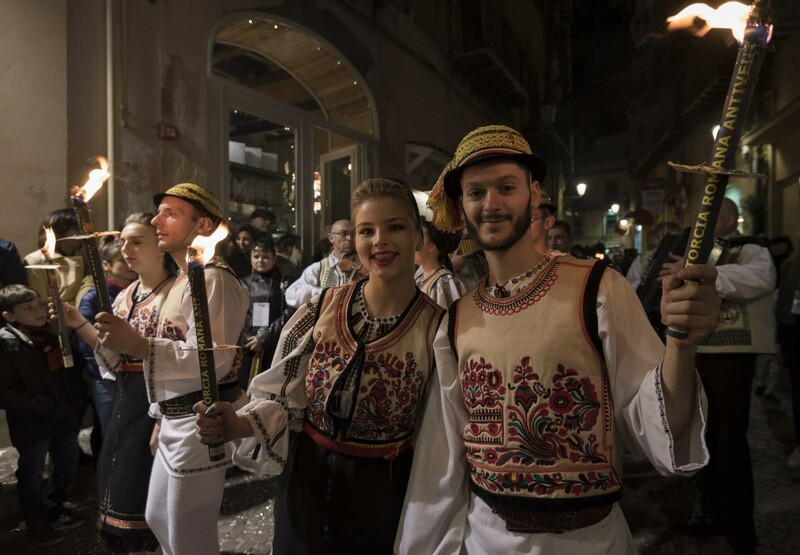 Wednesday, March 6, at 6:00 pm : ‘Friendship parade’ along Via Atenea and the streets of the historic centre of Agrigento by torchlight. Sunday, March 10, at 3:00 pm: International Folklore Festival, final performance and closing ceremony at the foot of the Temple of Concordia. 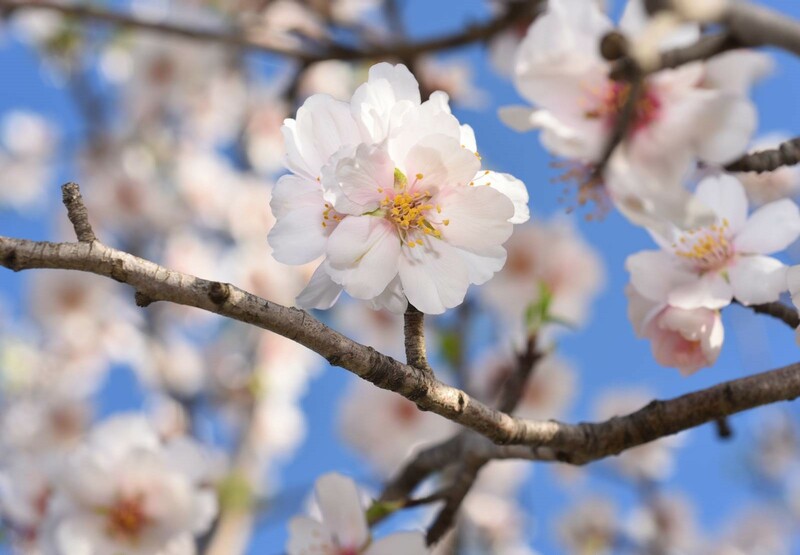 As usual, the Almond Blossom Festival takes place throughout the city: a perfect opportunity to discover the main attractions of the historic center of Agrigento and the Archaeological Park. The medieval “Girgenti”, the current historical centre of Agrigento is full of fascinating churches and monuments. Do not miss the Cathedral of Agrigento, which dates back to the Norman period and has accumulated an incredible composition of architectural styles over the centuries; its Bell Tower, containing the mysterious Letter of the Devil; the MUDIA Diocesan Museum, which houses the treasures of the cathedral; the eighteenth-century Biblioteca Lucchesiana; the Church of Santa Maria dei Greci, built on the still visible foundations of a Greek temple; the Monastery of Santo Spirito and the adjacent Church: an oasis of extraordinary charm and beauty, masterpieces of the Chiaramontano and Baroque architectural styles. Other monuments not to be missed are located along Via Atenea: the Church of San Lorenzo in extravagant Baroque style; the Ex-College of the Filipino Fathers, an art gallery which exhibits a permanent collection of paintings by important Italian artists such the Sinatra Collection dedicated to Francesco Lojacono, one of the most appreciated Italian landscape painters of the nineteenth century; the Pirandello Theatre, a refined nineteenth century architectural gem located inside the Municipality and dedicated to Luigi Pirandello, illustrious writer, winner of the Nobel Prize for Literature and the pride of Agrigento and Porto Empedocle where is located, just in the vicinities of the city, the Pirandello Museum: the countryhome where Pirandello was born which contains manuscripts, photographs and memorable moments of the playwright’s life. The archaeological parks of the Valley of Temples is one of the most important archaeological sites in the world, a UNESCO World Heritage Site since 1997 and winner of the National Landscape Award in 2018. The Valley of the Temples of Agrigento is a lasting testimony of the magnificence of Akragas, one of the most thriving Greek colonies of the Mediterranean in the fifth century BC. The monumental ruins and sites of particular interest in the Valley are: the Temple of Concordia, considered one of the three best preserved Doric temples in the world saved thanks to its transformation into a Christian basilica in the Byzantine age; the Temple of Zeus, erected in 480 BC to celebrate the victory of Akragas over the Carthaginians in the battle of Himera, one of the wonders of the ancient world for its original architectural solutions characterized by colossal statues called Telamoni and for its exceptional size which is similar to that of a modern football stadium; the Garden of the Kolymbethra managed by FAI, one of the 10 most beautiful gardens in Italy where nature, history and ancient aqueducts offer a truly unique spectacle; the Regional Archaeological Museum of Agrigento that exhibits magnificent vases and treasures amongst which the Ephebe and the gigantic Telamone of the Temple of Zeus, as well as recent discoveries from the area of ​​the Roman Hellenistic Quarter and the Hellenistic Theatre . Valley of the Temples map, parking, timetables, tickets: on the site you will find all the useful information. – 16.30 / Palacongressi: ALMOND AFTERNOON welcome, creative workshops for children, intercultural workshops, exhibitions and concerts. – 12.00 / Palacongressi: ARCHEOCIAK / ONE MINUTE FOR CONCORDIA Archaeological cinema day for schools and international competition awards. – 16.30 / Palacongressi: ALMOND AFTERNOON: welcome, creative workshops for children, intercultural workshops, exhibitions and concerts. * Program updated January 9, 2019. This information could be subject to change, so we recommend that you regularly visit this page.